Carrie Underwood received a star on the Hollywood Walk of Fame on Thursday in Hollywood. Joining her for the big honor were her husband Mike Fisher and their adorable 3-year-old son, Isaiah. In August, Carrie announced she and Mike are expecting their second child. She also received congratulations from American Idol judge Simon Cowell and his wife Lauren Silverman, as well as her CMA Awards co-host Brad Paisley. 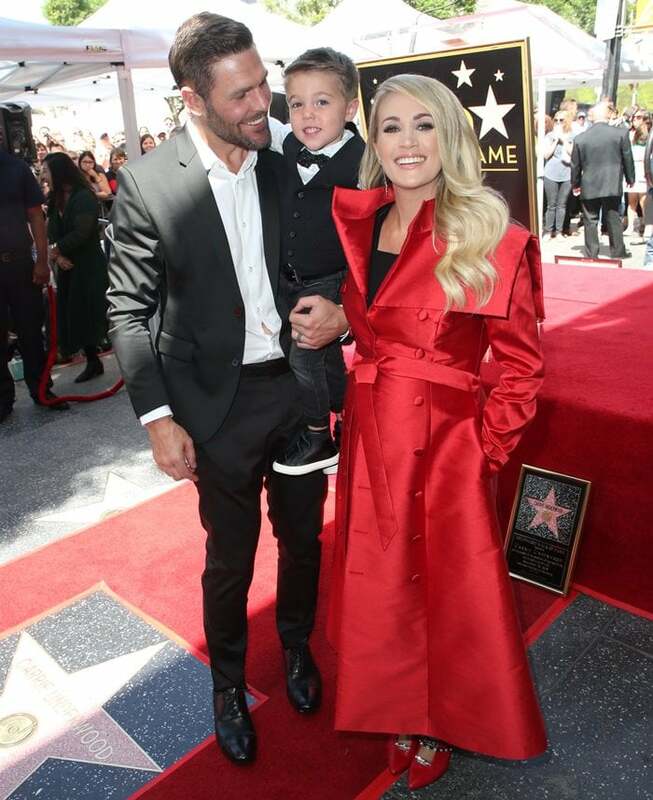 Carrie Underwood got emotional as she thanked her husband and son while accepting her star on the Hollywood Walk Of Fame. 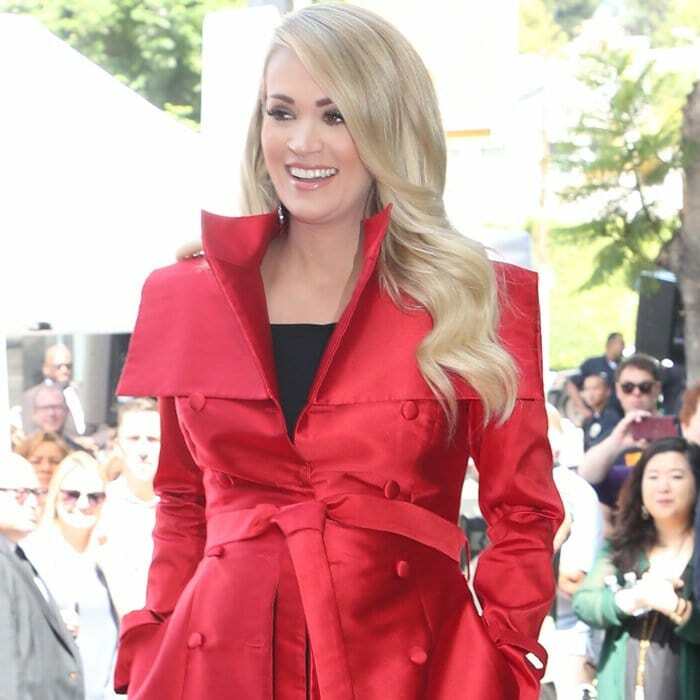 The 35-year-old pregnant ‘Cry Pretty’ singer donned a red coat dress from John Paul Ataker’s Fall 2018 Collection. She styled her stunning statement coat with a black dress and feminine Maxine mules from Finnish shoe designer Minna Parikka. Her stunning shoes feature a red upper split at the center and gorgeous metallic bow embellishments. “I never thought in a million years that I would have the opportunity to even attend the CMAs or Grammys, or go visit the Walk of Fame, let alone participate in any of that,” the popular artist recently told Variety.